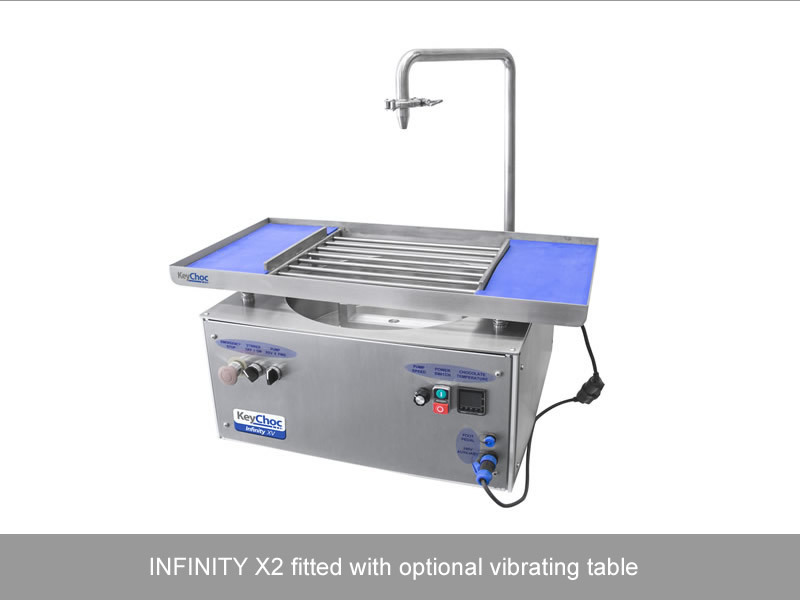 The new INFINITY Series chocolate tempering machines are fitted with a custom-designed chocolate pump, instead of an auger or wheel. The INFINITY X2 has a 20kg tank capacity but it can be operated with as little as 3 kgs of chocolate. 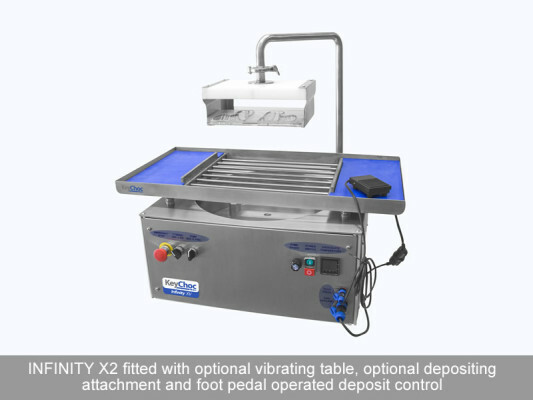 It is a table-top machine with a footprint of 600 x 600mm. 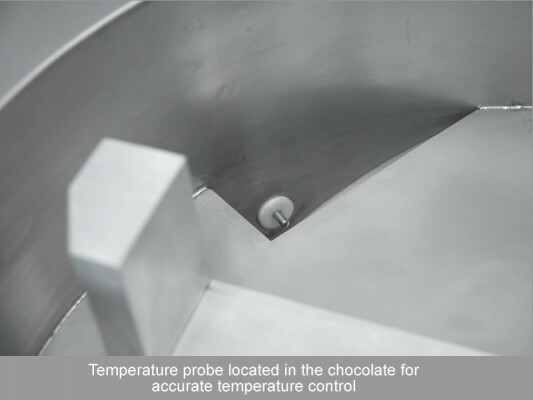 Chocolate is manually tempered using seed. 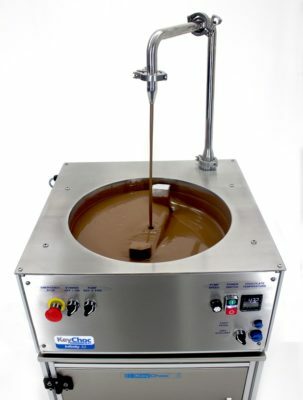 Method 2 – Allow the melted chocolate to cool to 34-35˚c, then add 2-3kgs of seed or 1% of Mycryo (pre-crystallised cocoa butter). Your chocolate will be tempered in 5-10 minutes. 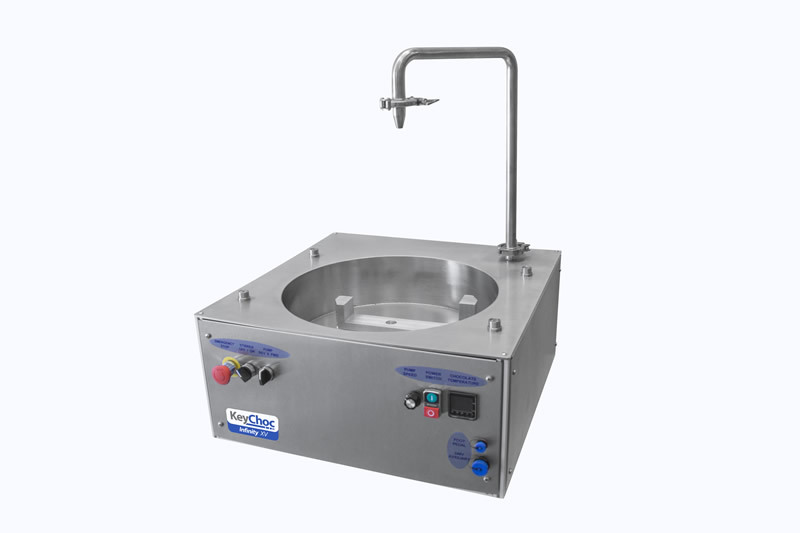 Once tempered, your chocolate will remain tempered for up to 8 hours in the INFINITY X2 without the need for any extra stirring or heat. 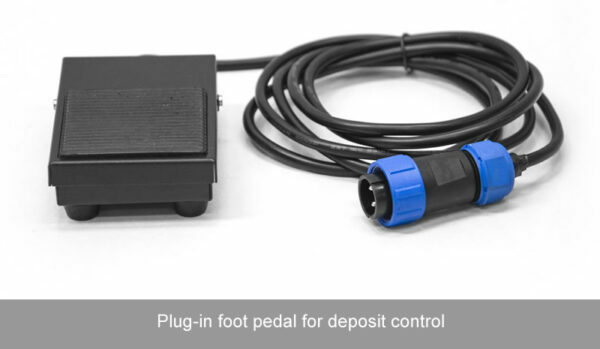 By comparison, a typical 8kg or 15kg wheel moulding machine will only keep your chocolate tempered for a maximum of 1 hour unattended in perfect conditions. 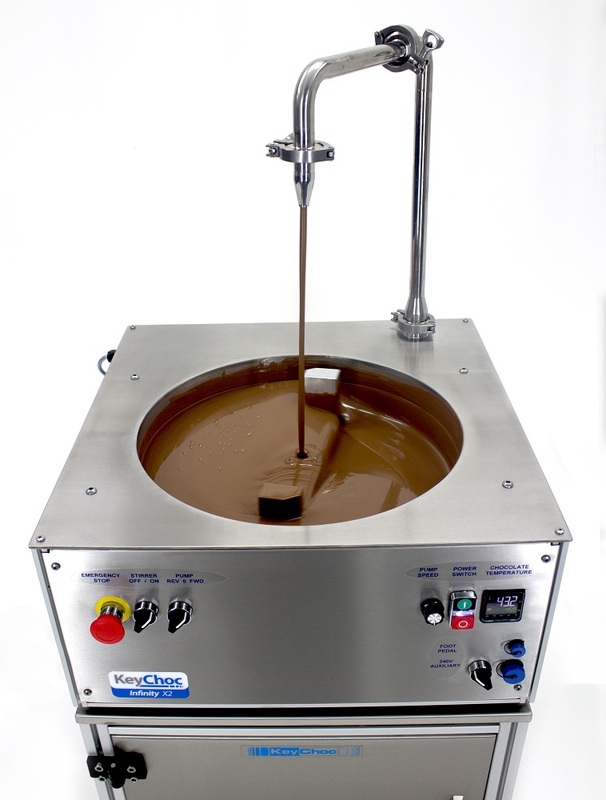 The INFINITY X2 pumped chocolate tempering machine is manufactured in the UK.